In a faraway land, long ago, there lived a king and his fair queen. Many years they had longed for a child, and finally their wish was granted. A daughter was born, and they called her Aurora. WHAT: Sleeping Beauty by National Marionette Theatre at Center for Puppetry Arts. Join hero Prince Stefan as he sets out to rescue the princess Aurora, and her family’s kingdom, asleep for almost one hundred years. Told from the prince's point of view, this adaptation of the much-loved fairy tale combines beautifully crafted marionettes with the timeless music from Tchaikovsky's ballet. Patrons attending Sleeping Beauty are eligible for a dream come true in the form of a better night’s sleep. The Center for Puppetry Arts, the Mattress Firm, and Simmons are partnering to offer a new queen-sized Simmons’ Beautyrest mattress set to one lucky winner. Patrons of the show are automatically entered to win when they purchase their tickets. For full contest rules and regulations or to enter online, visit: http://www.puppet.org/about/special_offers.shtml. Entries can also be submitted without purchase either online or at Mattress Firm locations around Metro-Atlanta. Wednesday – Friday: 10 a.m. & 11:30 a.m.
Saturday: 12 p.m. & 2 p.m.
Sunday: 1 p.m. & 3 p.m.
HOW:	Tickets for patrons ages two and older are $9.25 for Members and $16.50 for Nonmembers and include admission to the performance, Create-A-Puppet Workshop (or Create-A-Puppet To-Go Kit), and all museum exhibits. Group rates are available. ORDER TICKETS ONLINE AT WWW.PUPPET.ORG OR BY CALLING THE TICKET SALES OFFICE AT 404-873-3391. 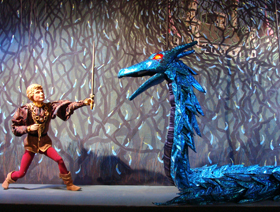 For more information, call 404-873-3391 or visit www.puppet.org/perform/sleepingbeauty.shtml. 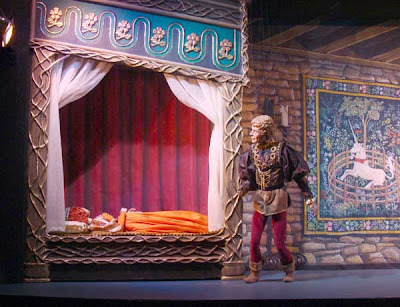 For more about National Marionette Theatre of Brattleboro, VT, visit www.nmtshow.com. All photos courtesy of National Marionette Theatre.